I’ve shared some great apps from The Lawrence Hall of Science (DIY Human Body, DIY Sun Science, Monster Heart Medic) and DIY Nano HD is another free app for iPads that you’ll love. 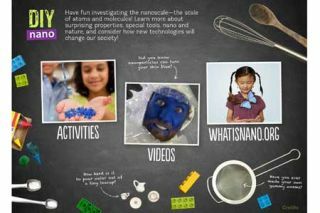 DIY Nano HD contains easy science experiments for teachers, students and families. Using easy to find materials children can follow along with instructions on the screen to learn about nanoscale science, engineering, and technology. This app contains videos, images and informational text that can help students learn about expository writing styles including how-tos and step-by-step guides. Explore this totally free app to see what you can bring into your classroom! Visit my Syllabuy page to access tons of mobile-friendly lesson plans.